WHAT SHOULD I VISIT ON MY TRIP TO TOKYO? I get this question a lot, so I figured it would be better to create this post and share the places I think you should see when coming to Tokyo for the first time. Please note that these are my personal choices and may or not match other people’s. Let’s get to it! There are three places from where you can enjoy a breathtaking view of Tokyo, and one of them won’t cost you a ¥! 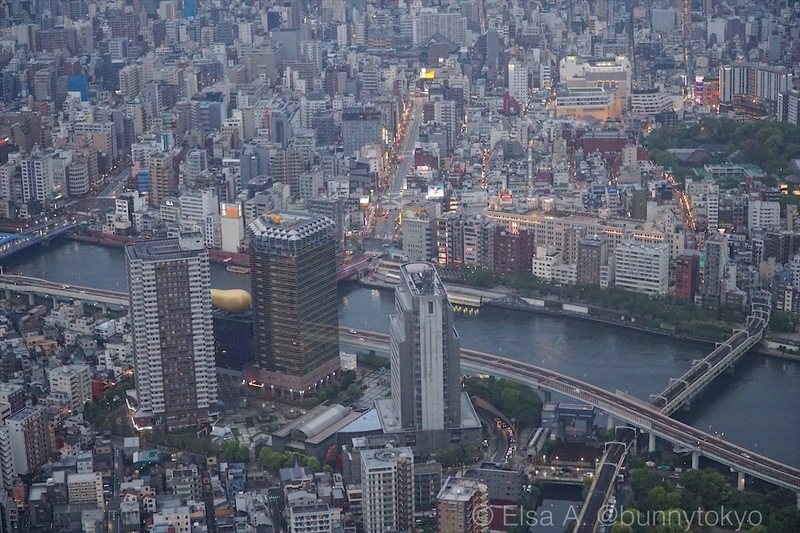 Both Tokyo Tower and Tokyo Skytree are worth it in my opinion. Tokyo Tower is lower but older, and also more iconic to me (it has its own emoji after all ????) and its base has the One Piece themed floor complete with a One Piece restaurant, cafe and store. Tokyo Skytree is the tallest tower in the world, and second tallest structure after Burj Khalifa, and that should be enough reason to pay to go up to the tallest deck (450 meters high!). If the sky is clear, you may see the Mt. Fuji!! Please note that there are SO MANY temples and shrines in Tokyo it’s ridiculous. I’m mentioning only these for the sake of finishing this post today. 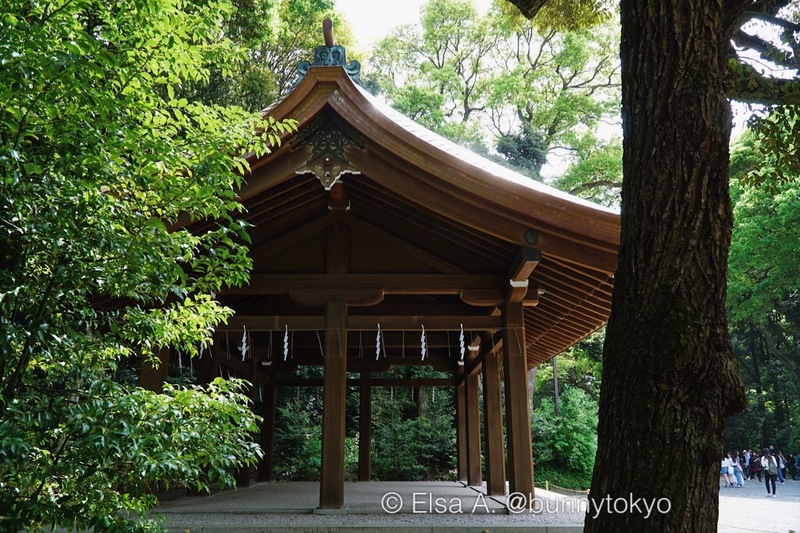 Well of course you have to visit Meiji-Jingu, the gorgeous shinto shrine in the heart of Yoyogi Park. It is such a wonderful stroll to get there, and the shrine itself is beautiful!! There always seems to be a shinto wedding happening as well, which only adds even more beauty to the experience. The Buddhist temple Sensoji in Asakusa is the oldest temple in Tokyo, and around it there are dozens of little stores selling all kinds of Japanese things – from furin to chopsticks to delicious mochi. Perfect to get those souvenirs for the family back home. Imado Shrine will always have a special place in my heart for a very romantic reason: it is home to many manekineko couples and the theme around it is bringing fortune to the visitor’s love life. Although small and not super impressive, who can resist the many maneki cats holding their lucky paw up, rooting for you to win at love? I also like Kanda Myojin for its size, lively ambiance and proximity to Akihabara electric town. Consider taking the detour to visit it- it is really something. Please note that you have to reserve your visit in advance! You can do it online. The Imperial Palace is quite a mandatory visit that I encourage if there is time. The audio guides there are available in many languages and you get a glimpse of the life and customs of the imperial family. Interesting specially now in the light of the recent abdication news. Aside Yoyogi, which you will have to see to get to Meiji-Jingu, my favorites are Ueno and Inokashira park. 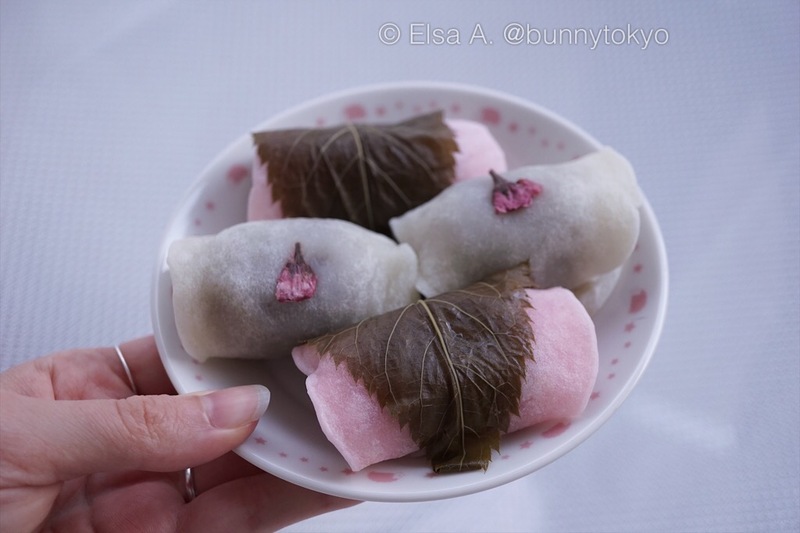 Specially in the sakura season, they are the description of beauty. If your visit happens in any other season, you will still love their natural charm, temples and shrines. Shinjuku-gyoen is the amazing garden in which The Garden of Words takes place, makes for an incredibly beautiful stroll. 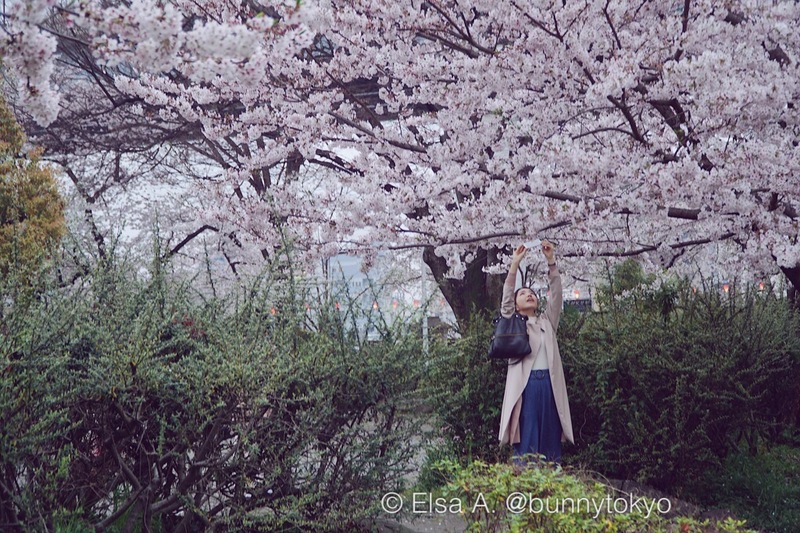 Although not a park, Sumida-gawa (the flanks of Sumida river) gets laced with blooming cherry blossom trees whose flowers -sakura- rain for a couple magical days after their short 6-8 days life. To add to its wonderfulness, we’ve spotted herons around this area too. Shibuya: For the busiest crossing in the world, the Shibuya Scramble, and the statue of Hachiko. Akihabara Electric Town: For the otaku-ish shopping and the maid cafes if you’re into that. 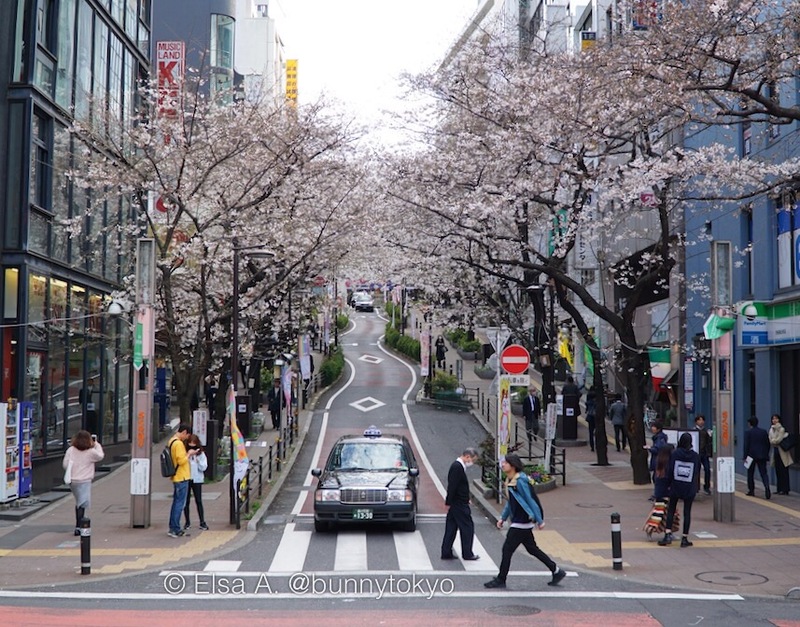 Harajuku: Cool people, cool restaurants, cool fashion stores, delicious and colorful crepes. Ikebukuro: Lighter, more playful Shinjuku. Also, Durarara. Odaiba: Man-made island, shopping and soon enough, a brand new giant Gundam. If you can, get tickets for the Ghibli museum for a delightful day (or afternoon if you’re short on time) at this Miyazaki paradise. It’s really inexpensive but tickets get sold out so fast! I don’t eat meat so there is none in my list sorry. Sushi and sashimi. Even the supermarket versions are delicious. Fresh fish from Tsukiji Market. Again, this is my personal opinion, please feel free to do whatever you may want to do. “MARIKAR” literally everyone in Tokyo hates it except for the tourists that pay to do it. It’s dangerous for all the involved and annoying for everyone but the ones driving the karts. Also Nintendo did not allow the use of their characters for this business so the “inspired” costumes are just tacky. There have been a few Marikar accidents lately and everyone is still wondering “Why the heck don’t they ban them already? ?” Hint: because money. Just because you can do it, doesn’t mean you should. The Robot Restaurant. I went and I liked it but I think it was overpriced and actually has very little to do with the Tokyo feeling. I mean, it’s just weird and flashy and doesn’t give you a taste of Japan in any way. Japanese people find it weird as well. If you have the time and budget, well why not. But it is and it always has been a gaijin trap. Kawaii Monster Cafe. I recently went and here are my thoughts. A) You have to queue (which is fairly common here but adds to B and C). B) There’s an entry fee. C) Mandatory order of one drink AND one dish per person. I think it’s just too much just for colorful food, annoying lights and uncomfortably loud music. Tsukiji Market Tuna bidding. By all means visit Tsukiji Market but I would leave the bidding to the people that is there making a living out of it. I know that the buyers and sellers actually find the foreigner audience annoying. They are trying to work after all. I’m not sure how waking up at 3 or 4 in the morning to see people buying tuna is going to make your Japan experience richer, anyway. Here’s the map with the places featured in this post! These are all the things that come to mind right now. Have you visited Tokyo or plan to? What did you like the most or are you specially looking forward to? I hope you found this little guide helpful! Thank you for reading! You have a nice idea!! I ’m glad that your action as Japanese. Please keep it!! I totally agree with what to skip! I’ve been to Tokyo a few times now and people still ask me when I return home ‘why not this? why not that? !’ and I’m just sat there trying to explain that those things are A: A tourist trap or B: Not remotely Japanese and annoying for locals. Still haven’t done all of the parks yet so will take your recommendations on board! Thanks for sharing <3 Glad to have discovered your blog! Hi! I’m from Argentina and i’m going to Tokyo in november. What neighborhood would you recommend me to stay? I think i Will stay near Tokyo station, is that a good idea? Thanks! I love your blog and photos!! I really enjoy spending a day at Nakano Broadway checking out all the cool shops. We also try to set aside a day to check out some art galleries. There’s a pretty good concentration of great art galleries in Ginza which makes it easy to check out several in one day. We love Skytree so much. The food court is just incredible, definitely one of our favorite places to go grab lunch. Also, the Daiso in Skytree is the best Daiso I’ve ever seen, if you’re into that sort of stuff.